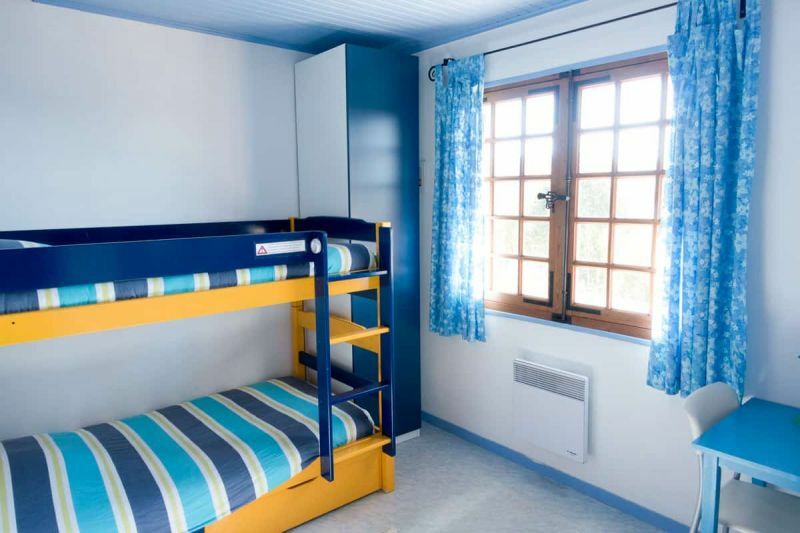 The blue bedroom faces the lake and has a nautical theme. The bunkbeds allow for two people (children or adults) to sleep comfortably. There is a wooden chest with games and toys for the kids and drawers underneath the beds provide additional storage space. Description of the "blue bedroom".